I had planned on going to a convention here in Atlanta in September, but didn't really think of the fact that most conventions don't really like you huffing around a steel sword. 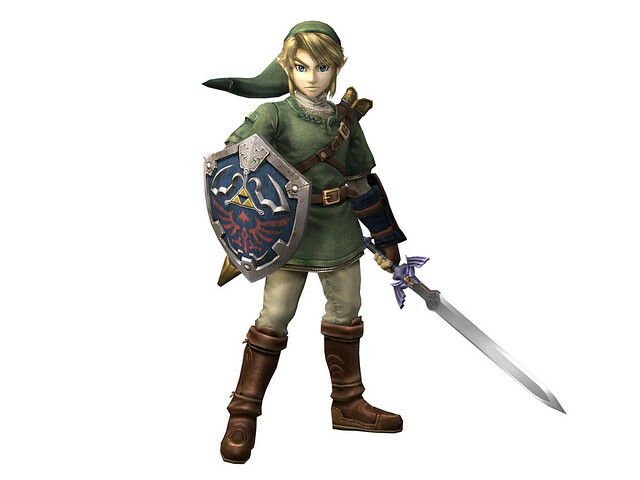 Unfortunately, the one I used for my Link costume was steel, and I had 8 days until the convention to figure out what to do. 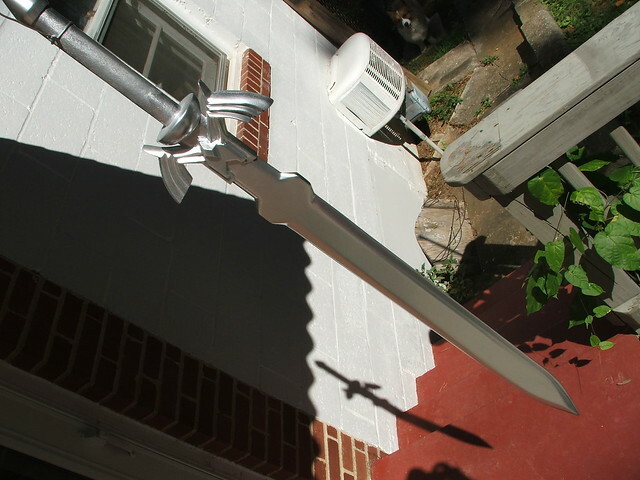 After a guide coat and some more sanding, the blade was near finished! 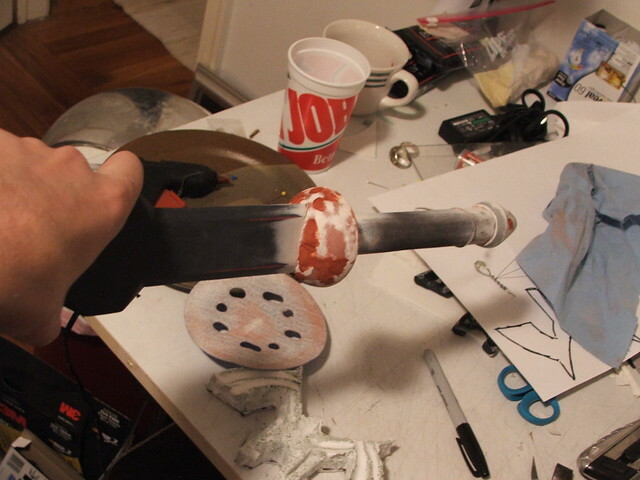 I sculpted the hilt from paperclay. 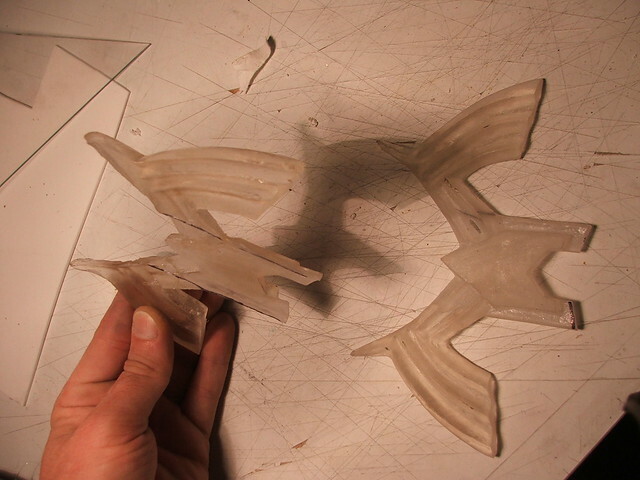 The plan was to make a mold of this and cast the two halves in resin. Unfortunately, I didn't have access to any of my usual materials, so I had to make due with some unfortunate substitutes. The paperclay took forever to dry, shrank in size considerably, and was generally a bad material to use for a mold. The castings turned out alright, but needed a lot of work to bring up to par. Two pieces of MDF were affixed to the handle and rounded over. The handguard was sculpted out of apoxie sculpt, as well as the pommel. both were epoxied to the fiberglass on the blade. This is after some bondo cleanup work. Finally, the handle was wrapped in purple vinyl and stitched around the handle. The green ribbon is a bit too wide, but with hours to go before I needed to get to the con, I just went with it. And a finished shot. This piece is currrently in teardown, awaiting some much-needed revisions.